Summer 2018 | The NEXT Festival is Theater Latté Da’s New Work Festival showcasing three works that stretch the boundaries of musical storytelling. Each show in the Festival receives public performances providing audience members the opportunity to get in on the ground floor of the creative process. The NEXT Festival is Theater Latté Da’s New Work Festival showcasing new works that stretch the boundaries of musical storytelling. Each show in the Festival receives public performances providing audience members the opportunity to get in on the ground floor of the creative process. 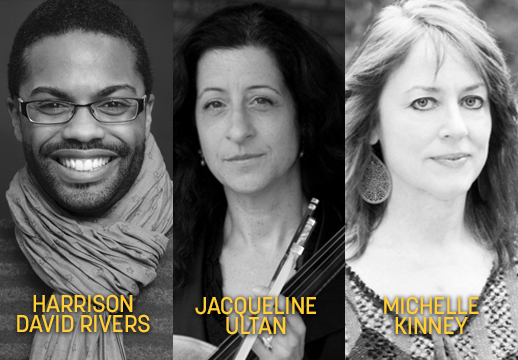 Following each performance is an in-depth conversation with the playwrights, composers, and lyricists. Be a part of Theater Latté Da’s commitment to the next generation of the Great American Musical. Physical theater meets cinematic staging in this mash-up of world myths and the Roaring Twenties, re-imagining Sun Wukong and Brer Rabbit in an action-packed heist gone wrong, the Osiris myth of Egypt as a Film Noir detective tale, and the Greek gods as a crime family rising to power. Los Angeles, 1940. The last remaining performer of the Pansy Craze holds court at a nightclub frequented by Hollywood stars, entertaining straight and gay audiences alike with original songs. A tribute to the oft-forgotten crusaders of the gay underground cabaret movement of the 1930s, Pansy is a story about singing out when the world demands your silence. Inspired by Tyler Alpern’s research and book Bruz Fletcher: Camped, Tramped & A Riotous Vamp.